To explore them, as well as information about recent investments, available properties and existing infrastructure, visit Macomb County’s GIS mapping tool. Also download a copy of the Opportunity Zone prospectus booklet. Macomb County is ready to assist managers of Opportunity Funds and connect them with Opportunity Zone properties. Our professional team of business consultants provide free and confidential services. We can help to determine if other tools – such as New Market Credits, Low-Income Tax Credits, or Commercial and Industrial Tax Exemption Certificates – can help with financing. To learn more about our services, contact Curt Chowanic at Curt.Chowanic@macombgov.org or call 01 586-469-5285. The Michigan Business Development Program is an incentive based program available from the Michigan Strategic Fund (MSF), in cooperation with the Michigan Economic Development Corporation (MEDC). The program is designed to provide grants, loans, and other economic assistance to businesses for highly competitive projects in Michigan that create jobs and/or provide investment. Any business seeking to qualify for assistance from the Michigan Business Development Program must create a minimum of 50 new jobs, unless it qualifies as a high-technology activity, in which the business only needs to create a minimum of 25 new jobs. Public Act 198 of 1974 allows for the abatement of industrial property taxes in order to encourage eligible businesses to make new investments in Michigan. These abatements encourage Michigan manufacturers to build new plants, renovate aging plants, and/or expand existing plants. Industrial plants eligible for abatement are those that primarily manufacture or process goods by physical or chemical change. Related facilities for Michigan manufacturers are also included, such as office, warehousing, and research and development. New equipment and machinery is no longer available for abatement with the elimination of the personal property tax. This incentive is advantageous for companies because it significantly reduces the property tax, putting more money back on a company’s bottom line. The tax abatements are approved and granted by the legislative body of the city, village, or township that the company’s property is located, however before approval, an Industrial Development District must be established through the municipality. The length of the abatement, up to twelve years maximum is also determined through the local unit of government. The State Tax Commission grants final approval and issues the abatement certificate. For more information, contact our office at 586-469-5285 or call the MEDC Customer Contact Center at 517-373-9808. Public Act 255 of 1978 encourages the replacement, restoration and new construction of commercial property by abating the property taxes generated from new investment for a period of up to twelve years. As defined, commercial property for which the primary use is commercial business enterprise is eligible for land and/or building improvements to make the property more economically efficient. Eligible businesses include office, retail, engineering and research and development, among others. The Commercial Redevelopment Act distinguished between ‘replacement’ facilities and ‘restored’ facilities. Replacement facilities are commercial properties and buildings that are acquired, constructed, or altered for the purpose of substituting for an obsolete commercial property. In order to receive the abatement for this type of building, the property must be zoned mixed-use, or be located in an established downtown revitalization district. Restored facilities are eligible, obsolete buildings and/or properties that have been altered or change to improve economic efficiency by improving floor loads, expanding or minimizing ceiling heights, replacement heating, ventilation, and lighting equipment as well as improving the structural foundation. Public Act 210 of 2015 encourages the rehabilitation of commercial property by abating the property taxes generated from new investment for a period of up to ten years. In order to be eligible, commercial buildings or group of contiguous buildings of commercial buildings must be 15 years old or greater, and primary use must commercial enterprise or multifamily residential use. This incentive can be utilized by a wide variety of enterprises, ranging from office, engineering, research and development to supermarkets and retail. Property that is not eligible is land used from professional sports stadiums or casinos. The Redevelopment Ready Communities Program is a state-wide certification program that supports communities to become development ready and competitive in today’s economy. This program encourages communities to adopt innovative redevelopment strategies and efficient processes which build confidence among businesses and developers. Through the program, the Michigan Economic Development Corporation (MEDC) provides the community with a team of public and private sector experts to evaluate and asses the community, as well as expertise and consultation in areas such as community plans and public outreach, zoning regulations, and recruitment and education. Through the Redevelopment Ready Communities best practices, the communities can strategically change the way they operate, making them more attractive for investments by creating places where talent wants to live, work, and visit. To learn more about the Redevelopment Ready Communities program, visit www.michiganbusiness.org.  Businesses that are looking fill job openings can take advantage of an incentivized training program through the Macomb/St. Clair Michigan Works office called the On-The-Job Training program. In exchange for training an employee who is considered economically disadvantaged or that has a skills gap, a business can be reimbursed 50% of the new employee’s hourly wage for a maximum of 480 hours. The participating company must meet several requirements for the program, including a starting pay of at least $12.00 per hour, the employee must also be a direct hire and working a full-time position. For more information, visit http://www.macomb-stclairworks.org. The Michigan Advanced Technician Training program is an innovative and industry-defined approach to education. Based on the German dual educational model, this program combines theory, practice and work to train a globally competitive workforce. This nationally accredited program allows students earning an associate’s degree in certain high-tech fields to apprentice at a manufacturing firm as part of the educational experience. The end result is a highly educated technician graduating with work experience needed to enter the workforce. This program is advantageous to both the student and the company, because it provides an economically feasible education for the student in which employers provide tuition reimbursement, school stipends, and an increasing hourly wage. In effect, the companies participating in this program are essentially growing their own employees, ensuring professional competency. This program is put on by Pure Michigan Talent Connect through local community colleges. For more information, visit www.mitalent.org/mat2. Under the administration of the MEDC’s Export team, the Michigan State Trade and Export Program (MI-STEP) provides financial assistance for small and medium sized export companies to develop or expand export-related activities. This program is designed to spur job creation by empowering Michigan businesses to export their products. Its objectives are to increase export sales by Michigan businesses, increase the number of new-to-export companies, and increase entry into new markets by companies already exporting. Whether your company is new to exporting or has been exporting for years, this program is ideal for reaching new business growth levels. Eligible companies may qualify for reimbursements of up to $12,000 for tier 3 and $7,000 for tier 2 businesses, to offset 50% of their export activity costs. These types of activities include overseas trade missions, international trade show participation, foreign market sales trip, and foreign market research. In order to qualify for MI-STEP funds, a company must have 500 or fewer employees or otherwise be in accordance with Small Business Administration guidelines, must have two years of domestic sales, and be in good standing with the Michigan Department of Treasury and other regulatory agencies. Interested companies can complete the intake form at www.michiganbusiness.org/export. Goldman Sachs’ 10,000 Small Businesses program provides small business leaders with a practical business education and a supportive network of advisors and peers to enhance their businesses competitiveness. Through this program, you will receive the tools and support needed to develop a customized growth plan that will take your business to the next level. Educational topics include identifying and evaluating business opportunities, management of the business environment, business negotiation, and business leadership. Using grant funds from the Environmental Protection Agency (EPA), Macomb County administers a brownfields revolving loan fund program for companies looking to clean up a contaminated site in order to expand their business. This revolving loan fund provides financial assistance to any public or private entity who owns a contaminated site and is not responsible for the contamination, clean up the site so it is redevelopment ready. The EPA has granted Macomb County a total of $1,000,000 in revolving loan funds that will be replenished through the repayment of issued loans, supplemental funds from the EPA, as well as annual EPA brownfield grant competitions. The cleanup and/or redevelopment project will result in significant economic, environmental, and social benefits to the community. For more information, contact Jeff Schroeder of Macomb County Planning and Economic Development at 586-469-5285. Center Line offers matching grants of up to $10,000 for eligible façade improvements. Mount Clemens offers matching grants of up to $10,000 for eligible façade improvements. Richmond’s Project Clean-Up offers up to $2,000 in reimbursement for exterior improvements when at least $3,000 is spent. Established businesses may also qualify for up to $10,000 in matching funds for façade improvements. Richmond's Downtown Revitalization Program assists in the rehabilitation of vacant buildings. It offers up to $15,000 in matching funds. Up to 30 percent of the grant may be applied toward interior upgrades such as HVAC, plumbing or electrical work. With a mission to improve and promote Michigan’s most famous corridor, the 8 Mile Boulevard Association offers facade improvement grants to eligible buildings in St. Clair Shores, Eastpointe and Warren.